Szeretlekmagyarorszag.hu and index.hu report the latest successes of Hungarian swimmers at the European Championship in London. Boglárka Kapás, Katinka Hosszú, László Cseh and the women’s free relay team won gold medals. Hosszú also won a silver just like Richárd Buhos, while Tamás Kenderesi got hold of a bronze. 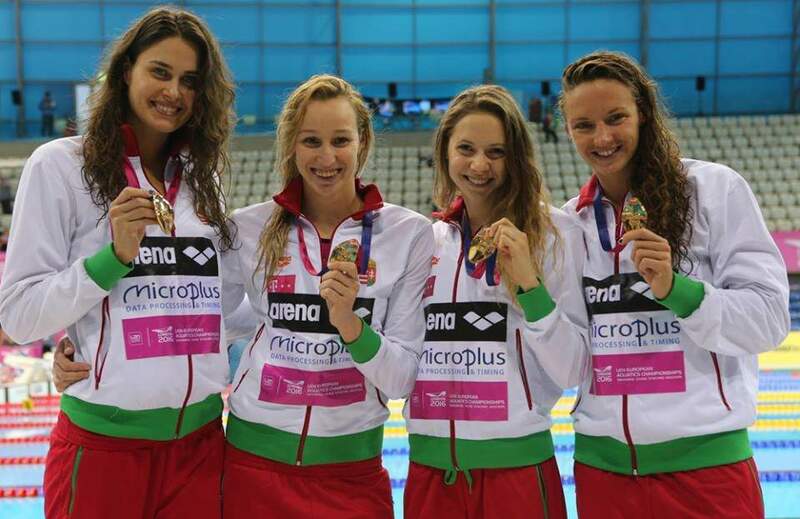 The 4th day (May 19) of this year’s European Aquatics Championship, held in London, brought victories for the Hungarian swimmers. The first one to be on top of the podium was Boglárka Kapás, who got into the 800m freestyle final with the best time result, writes szeretlekmagyarorszag. 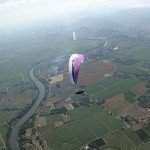 In the final, she was the first to turn at 350m and could keep being ahead of the others. Eventually, the 23 years old swimmer’s time (8:21.4) was 2.12 seconds better than that of the second, Jazmin Carlin. In an interview Kapás told M4 that she wanted to finish the heat by a better time, but was happy she could do everything she discussed with her coaches and managed to win gold after 4 years again. Next up was Katinka Hosszú’s turn at the 200m medley final. Following the butterfly leg, as she turned for backstroke, Hosszú got way ahead of the field and after being almost reached at breaststroke, in the final 50m she outswam the others and won gold ahead of Siobhan-Marie O’Connor with a time of 2:07:3. 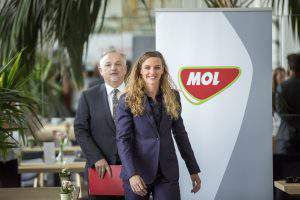 Evelyn Verrasztó, the other Hungarian competing in the final became 5th and was really happy about it, according to Index. Right after receiving her well-deserved gold medal for the medley, Hosszú was found in the pool again. She competed in the final of 100m backstroke too, where 2 years ago she shared gold with Mie Oe. Nielsen. This time, even though Hosszú started well, the Danish Nielsen won alone and the Hungarian became 2nd. Then came the men’s 200m butterfly final with László Cseh and Tamás Kenderesi. They swam very well, Kenderesi became 3rd and Cseh won with a great time, 1:52.91. 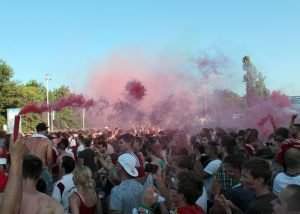 As len.eu, the official site of LEN (Ligue Européenne de Natation) put it, “[the] only rival [of Laszlo Cseh, having, perhaps, the best phase of his career] was the virtual red line on the screen, showing the pace of the European record – which he set in the shiny-suit era eight years ago”. 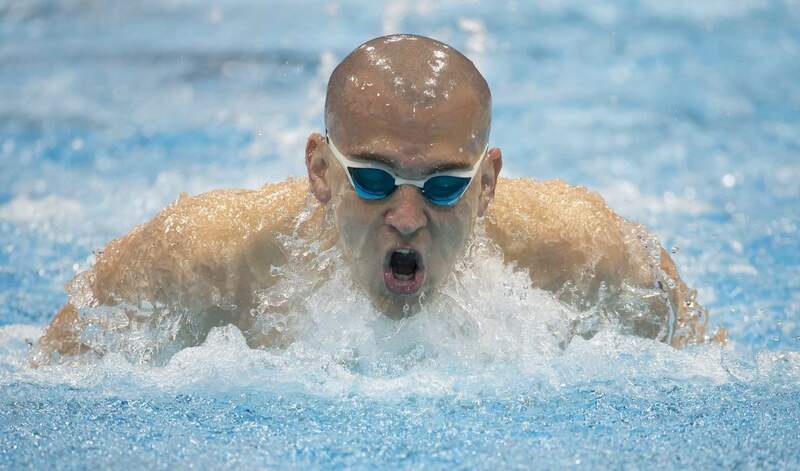 After the heat Cseh said that he was happy about the result but wanted to swim faster, which he could have done if his opponents had pushed him more in the end. Therefore, at the 2016 Olympic Games in Rio he aims to swim even better than this time. Following him, Viktor Bromer became 2nd, although Kenderesi almost defeated him: the difference between the two was 0.04 seconds. Richárd Bohus was the next Hungarian to receive a medal at the European Championship as he got ranked 2nd in the 50m backstroke final. 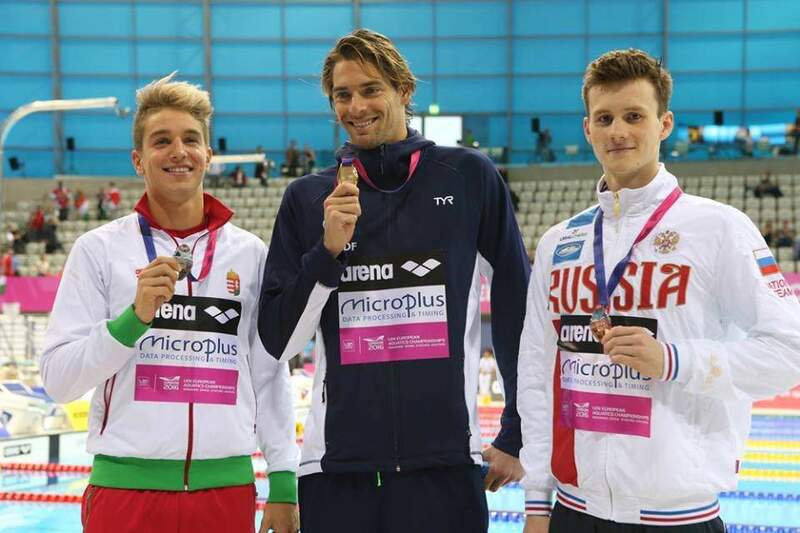 Bohus swam his personal best (24.82) and won silver with it as the victory was claimed by the French world champion, Camille LaCourt, who could top the podium with his 24.77 time. Finishing the day the audience could watch the battle in the final of women’s 200m freestyle relay. In the semi-final, the Hungarians qualified themselves to the final with the second best time with Ajna Késely as the finishing member, which position was filled by Hosszú in the final. Half way they were third, as Zsuzsa Jakabos started off well and Verrasztó continued it. Then, Kapás defeated the others in her leg, so Hosszú could start swimming while leading the field. By the first turn she was ahead of the other swimmers by 1.5 seconds and according to LEN,“ there was no way back for the others as [she] roared through the homecoming leg, delivering the gold to the Hungarians once more after 2010”. No surprise then that the official site of LEN writes that “Hungarian swimmers put together the nation’s best ever single day performance by amassing seven medals in less than two hours, winning four of the seven finals and runners-up by a finger-tip in two others”. Furthermore, they also mention that even though the Brits also had a fine day “the big duel between the Hungarians and the Brits ended up with the visitors’ triumph [that] evening”.